Thierry Henry's long-awaited reunion with Patrick Vieira ended in a stalemate as Monaco drew 1-1 with Nice at Stade Louis II on Wednesday. The hosts remain without a home league win this season as Allan Saint-Maximin's opener (30) was cancelled out by Benoit Badiashile's header (50) in a feisty Cote d'Azure derby. Henry's men played the entire of the second period against 10 men with Ihsan Sacko sent off in first-half stoppage time, but his side might have lost had Saint-Maximin not had his penalty saved by Diego Benaglio (77). Vieira's Nice move up to sixth in Ligue 1 with the point while Monaco missed the chance to leapfrog Dijon and remain in 19th position. The match was rescheduled following anti-government protests in December and Ligue 1 rules state only players registered for the initial fixture date can take part, so Cesc Fabregas was forced to watch from the stands. 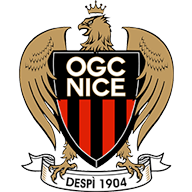 Mario Balotelli was absent from the Nice squad ahead of his imminent move to Marseille, and the visitors were fortunate not to fall behind in the early stages. A mistake from Malang Sarr allowed Moussa Sylla to set up Aleksandr Golovin, but the Russian - who is still in search of his first Monaco goal since his move last summer from CSKA Moscow - fired straight at the legs of Walter Benitez. Dante was next to give the ball away cheaply but the Portuguese Rony Lopes was wasteful as he blazed over - and the hosts were made to pay just three minutes later. 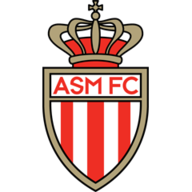 In a game littered with errors, Youssef Ait Bennasser was next to concede possession for Monaco in midfield, and Saint-Maximin outmuscled Jemerson to tuck his shot past Benaglio. Referee Benoit Bastien decided to consult VAR to check if the striker had fouled Jemerson in the build up but awarded the goal. Sacko's dismissal right on the stroke of half-time was upgraded from an initial yellow card shown by the official, with the Nice forward's ugly challenge on Benjamin Henrichs worthy of a straight red. Monaco made a blistering start to the second half as Badiashile rose to head home Lopes' corner despite Benitez's best efforts to keep the ball out - and the Nice stopper had to be alert to smother Sylla's shot from an acute angle as Monaco sought to complete the turnaround. But after Julien Serrano had wasted another good opportunity for Monaco by misdirecting a free header, Nice had a glorious chance to regain the lead after Badiashile brought down Youcef Atal inside the box. Referee Bastien again consulted VAR before confirming his decision, but Benaglio guessed correctly as he dived to his right to push Saint-Maximin's spot-kick away from danger. Radamel Falcao was introduced by Henry as Monaco went in desperate search of a much-needed win, and the Colombian very nearly found the answer as a trademark shot was tipped onto the post by Benitez. Meanwhile, Moussa Dembele and Nabil Fekir netted late on as third-place Lyon rallied to draw 2-2 at Toulouse while Nimes moved into 11th after winning 1-0 at home to Nantes.